If you are facing your second or subsequent traffic ticket for drunk driving, any commercial driver’s license violation, or other offenses that have caused you to rack up more than 11 points in 18 months, you need to hire a skilled Orange County, NY traffic ticket lawyer who knows the laws and the courts in the town where you received your ticket. 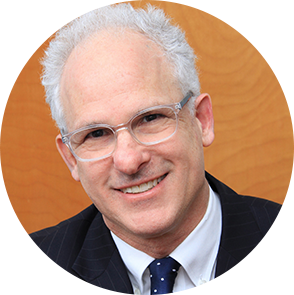 Jonathan Katz, Esq. has been helping clients charged with repeat traffic violations for more than 36 years. He will fight hard to get your ticket downgraded or even dismissed so you can keep your license. Don’t go it alone! If you are facing a traffic violation in Orange County, NY, especially if this is a repeat offense, contact a skilled lawyer who will fight for you and your driving privileges. I’m Jonathan D. Katz, Esq. and, for more than 36 years, I’ve been successfully representing drivers in Orange County, NY, facing traffic violations including speeding, reckless driving and DWI. I will fight hard to get your ticket downgraded to a non-moving violation (saving you points) and, in some cases, I may be able to get your ticket dismissed entirely. I know the traffic laws and the court personnel in all Orange County, NY courts. I have had significant success negotiating with municipal prosecutors and judges. There are many defense strategies I can use on your behalf. Don’t pay your ticket and take the penalties before speaking with me about your ticket. Points: Any New York driver who racks up 11 points in any 18-month period of time is at risk for license suspension and a hefty driver assessment fee. You will not be able to drive during that time and, if you do drive while your license is suspended, the penalties will be even more harsh. It’s easy to accumulate points on your license since law enforcement officers in Orange County, NY, are known for giving multiple moving violations tickets during a traffic stop. For example, if you speed, you could get a ticket for speeding and reckless driving. For more than three decades, I’ve been helping clients fight traffic tickets in municipal courts throughout Orange County, NY. I will thoroughly review all reports and any video available. I will negotiate with the prosecutor and judge in the town where you received your ticket in an effort to get your charges downgraded. I know your driving privileges are important to you. Without the ability to drive, you will have trouble getting to work and school and living your life the way you are used to getting around. When your driver’s license is at risk, I can help. Contact my office today to request a consultation about your repeat traffic violation. I’m on your side.